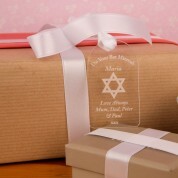 A personalised label will add a finishing touch to the bat mitzvah gift. 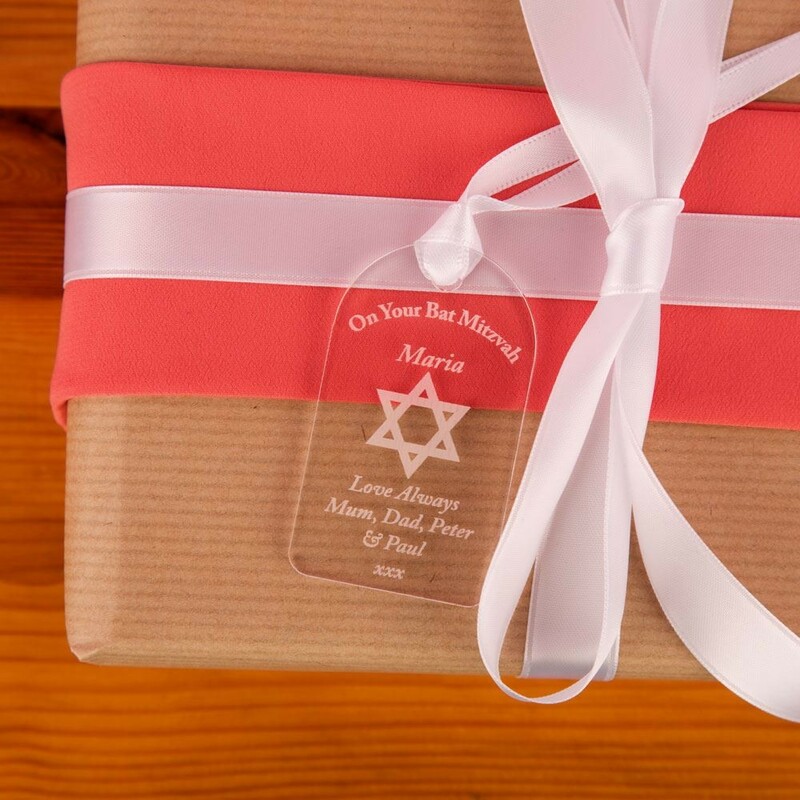 You can take this gift along to the celebration in the family's home or at a family meal. After she has unwrapped the gift she can hang up the tag in her room to remember her special day. 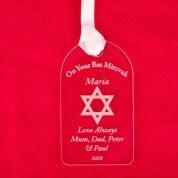 It would look great hanging up on a pin board, on a chest of drawers handle or on a window latch.